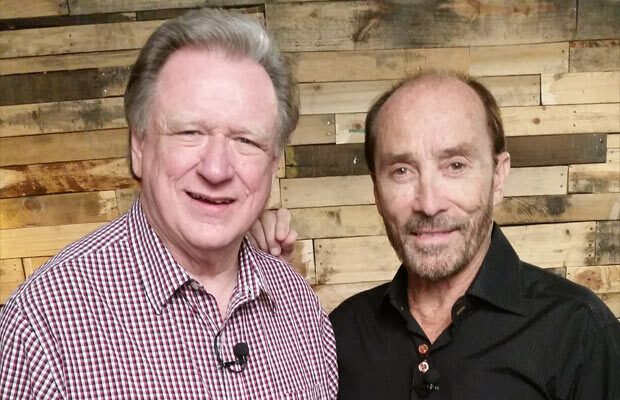 NASHVILLE, Tenn. (August 11, 2015) – Lee Greenwood, the man behind one of the most well-known patriotic songs in America, “God Bless the U.S.A.,” will sit down one-on-one with Tennessee Radio Hall of Fame DJ and radio host, Keith Bilbrey for an intimate and insightful interview on the all-new series, “Reflections,” this week on Heartland TV, The Family Channel, Angel Two (DISH TV), AMG-TV, Country TV (New Zealand) and DTC Cable. Greenwood will also join his wife, Kim Greenwood, a former Miss Tennessee and Executive Director of the Miss U.S.A. pageants, to give fans a sneak-peek into their luxurious Franklin, Tennessee, home on NBC’s “Open House”. Tune in August 13-14 for an exclusive, behind-the-scenes look at the haven the country couple and their two sons call “home.” “I think our home reflects our family – we definitely live in every room of our house and love when our kids and all of their friends are here with us,” said Kim Greenwood. The six-bedroom three-story oasis features a large eat-in kitchen with stunning cream cabinetry, granite and vaulted ceilings, as well as a breathtaking three story marble foyer framed by a swooping staircase and dramatic chandelier. Having purchased the home from a famed Nashville producer, the Greenwood couple re-designed much of the interior themselves, bringing in many design elements meaningful to their family and putting in a backyard deck and pool area that from an aerial view displays a red, white and blue “U.S.A.” across the bottom of the custom pool. NBC’s “Open House” is described as the ultimate insiders’ guide to real estate and home design. Host, Sara Gore, takes viewers inside the country’s most lavish homes, while some of the best designers from the industry provide advice and inspiration. Celebrity homes that have been featured include John Legend and Chrissy Teigen, Betsey Johnson, Jay Manuel and others. Check your local listings for NBC’s “Open House,” airing on WNBC (New York), KNBC (Los Angeles), WMAQ (Chicago), WCAU (Philadelphia), KXAS (Dallas), KNTV (San Francisco), WRC (Washington, D.C.), WTVJ (Miami), KNSD (San Diego), WVIT (Hartford) and NECN (Boston) and syndicated wide to all NBC affiliates across the nation beginning in October. Throughout his expansive career, international country music star Lee Greenwood has earned multiple CMA and ACM Awards, a GRAMMY for Top Male Vocal Performance on “I.O.U,” in 1985, and a multitude of other prestigious award nominations. His discography includes twenty-two studio albums, seven compilation albums, seven No. 1 hits, and thirty-eight singles including songs like “Ring On Her Finger,” “Time On Her Hands,” “Dixie Road,” and “Somebody’s Gonna Love You,” among others. His stand-out hit “God Bless The USA,” has been in the top five on the country singles charts three times (1991, 2001 and 2003), giving it the distinction of being the only song in any genre of music to achieve that feat. It was also No. 1 on the pop charts after 9/11. Known for his stand-out patriotism and support of the U.S. military, Greenwood has been honored with the Congressional Medal of Honor Society’s National Patriot’s Award, and entertained troops on more than 30 USO Tours. He is the National Ambassador for HelpingaHero.org, a non-profit, non-partisan organization providing support for military personnel, severely injured in the war on terror. In partnership with HelpingaHero.org, Greenwood helps to provide specially adapted homes for qualifying service members and engages in communities to provide services and resources for our wounded heroes and their families. In November 2008, President George W. Bush appointed Greenwood to a six-year term as a council member on the National Endowment for the Arts. The California native wrote his second book in 2012, a collection of inspirational essays titled Does God Still Bless the USA; A Plea for a Better America (Tate Publishing). Greenwood is on tour nationwide performing at fairs, festivals, casinos and theaters across the country. Lee and his wife, Kimberly, a former Miss Tennessee, currently reside in Nashville and have two sons. To learn more about Lee Greenwood and to find details about his upcoming tour dates, visit www.leegreenwood.com.